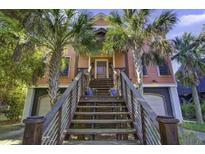 Find Folly Beach, SC Homes for sale. View Photos, Maps and MLS Data Now! Come take a peek--you won't be disappointed! MLS#19011639. Carolina One Real Estate. Sunset Point - The home is on sewer so there is plenty of room for a pool. MLS#19011425. Avocet Properties. Recent interior updates include: new vinyl replacement windows throughout most of home, MLS#19010611. Carolina One Real Estate. There is even a chair lift and ramp available for those with mobility issues. MLS#19010110. The Cassina Group. You have time to choose the colors and features MLS#19010058. Landcrafters Inc. Lounge by the brand new pool and soak up the sun while taking a break from the beach.The first level of the home is comprised of three guest bedrooms and the first of several living areas. MLS#19009798. Dunes Properties Of Chas Inc. Plenty of off street parking for multiple cars and boats. Property being sold ''as is''. MLS#19009054. Daniel Ravenel Sotheby'S International Realty. There's a wet bar with white cabinets and glass doors above to display your favorite pieces. MLS#19009005. Brand Name Real Estate. One bedroom down and two up, hardwood floors, dual fireplace, very well kept and has great potential! MLS#19008407. Dunes Properties Of Chas Inc.
East Folly Beach Shores - The home also has a wonderful rooftop deck offering 360* views of the ocean, the Morris Island Lighthouse & Charleston harbor. MLS#19007728. Avocet Properties. East Folly Beach Shores - The home is on a vacation rental program and is being sold furnished. MLS#19007591. Avocet Properties. A ground level grilling porch with reversed floor plan allows you to take advantage of the amazing water views. MLS#19006986. Landcrafters Inc.
2 bedrooms, each with their own private bath & a wonder living room lead you over to a huge chef's kitchen complete with granite counter tops, gas cooktop, an eat-in kitchen, a wonderful kitchen island with ample bar seating and even a butler's pantry. Can you say entertaining. MLS#19005407. Avocet Properties. All appliances and furnishings are included so just bring your essentials and move right in. MLS#19004799. Dunes Properties Of Chas Inc. This home is currently on a short term rental program with a excellent rental history. However, it MLS#19004674. Dunes Properties Of Chas Inc.
420 is with in short walking distance from restaurants and shops on Folly Beach and MLS#19004675. Dunes Properties Of Chas Inc. The house provides a large screened-in porch for excellent outdoor living, plus a sun deck, pond and an outdoor shower facing the marsh. MLS#19004093. Dunes Properties Of Chas Inc.
Sunset Cay Marina - The master suite is on the 2nd floor and has a private deck with views of the marina and the Folly River. MLS#19003493. Avocet Properties. Make your dream a reality with this prime personal/investment property. The home MLS#19001016. Carolina One Real Estate. This 5 spacious bedroom/2bath home has MLS#19001017. Carolina One Real Estate. This home is the perfect beach house and makes a great residence or rental property. MLS#19000961. Nv Realty Group. East Folly Beach Shores - Don't miss out on your chance to see this stunning ocean-front home! MLS#19000771. Carolina One Real Estate. The home did not flood with the 3 big storms (100 yr flood, Irma, Matthew). MLS#19000821. Avocet Properties. Potential estimated annual rental income up to $129,000. MLS#18032323. Reside Real Estate Llc. Perfect for a primary residence or as a vacation rental. MLS#18032091. Dunes Properties Of Chas Inc.